D-Wade previews another new colorway of his Li-Ning signature shoe. The last time Dwyane Wade previewed a new colorway of his Li-Ning Way of Wade signature shoe, he ended up wearing them in the Miami Heat's following preseason game. So the next time you see Wade on the court, he may be rocking this previously unseen Black/White make-up. 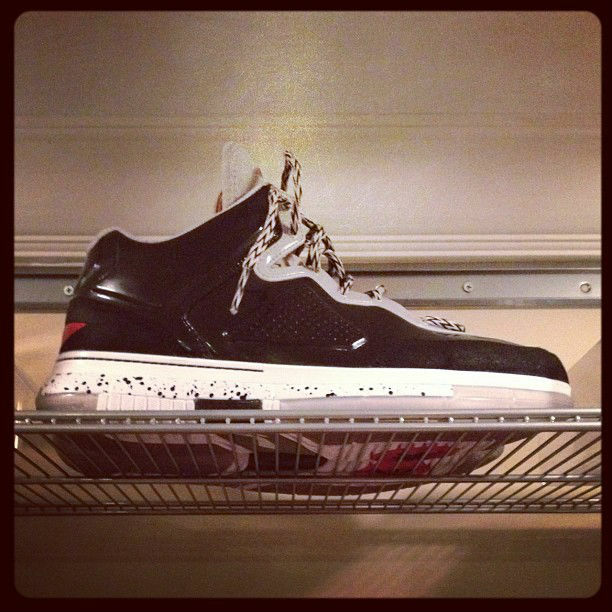 Previewed by Wade on Instagram, the shoe is black-based with grey on the tongue, inner lining and eyestay. Red Li-Ning brand wraps the heel, while a speckled white midsole and partially translucent outsole sits below. What do you think of this new colorway?